Maybe one day, you’ll be taking a walk out in the country, and before you even see the Blue House tucked in the woods, you will smell cookies baking and know that you are close. 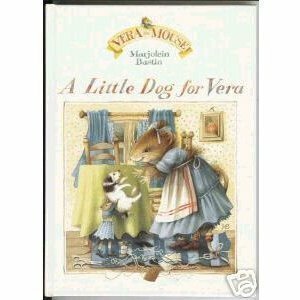 This is the home of Vera the Mouse, her little dog, Saar, and her tiny mouse doll named Dolly . Please drop in. Friends are always welcome, but you will be expected to have a good time, share some news, and take plenty of smiles with you when you leave. And be sure you always have room for some of Vera’s famous pancakes! Vera can’t imagine a better life than living in the country surrounded by all her friends. Some people think country life is too quiet, but Vera finds plenty to do—cleaning her house, tending her garden, and cooking stacks of pancakes that reach all the way to the ceiling! 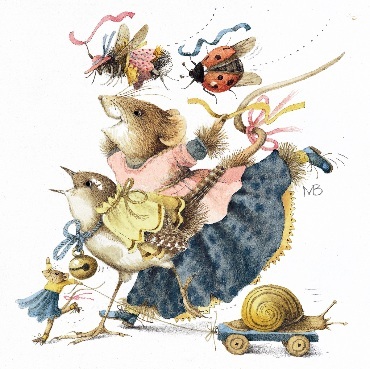 Little did Marjolein’s mother know she would give impetus to the creation of Vera the Mouse when she introduced Marjolein to the world of Peter Rabbit at a very early age. Beatrix Potter’s enchanting tales of Peter Rabbit and his friends planted a seed in Marjolein’s head that a parallel world existed alongside the orderly nature world she was quickly becoming familiar with. With Peter Rabbit, Beatrix Potter imagined a fictional world with a variety of human-like animals: Mr. Tod, a fox with a lovely jacket, Tom Kitten, a young cat getting in trouble with his sisters, Johnny Town-mouse, of course Peter Rabbit himself and many other endearing characters. 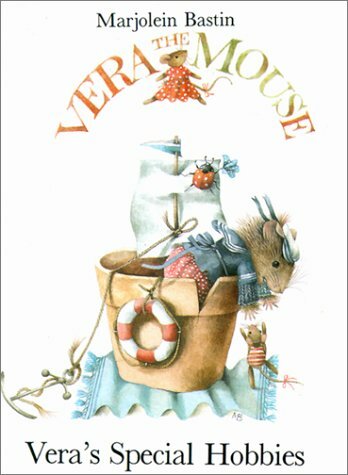 Vera the Mouse entered this same parallel world, one that exists for anyone to move into as long as you believe it really exists. Free of real-life restraints Vera became Marjolein’s instrument in this wondrous world, allowing Marjolein to channel a personality very similar to her own. 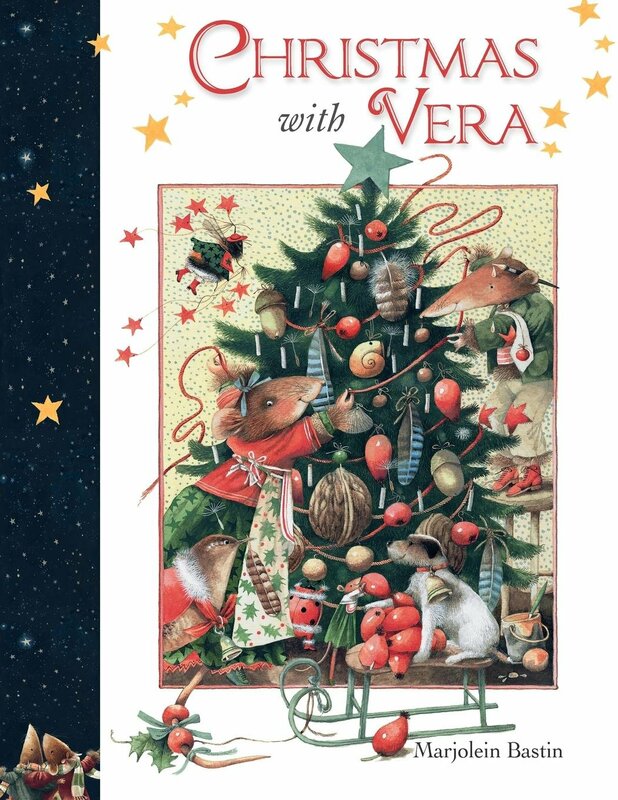 Though she was a character initially created as a card illustration for hospitalized children, Vera quickly turned into a fan favorite thanks to her adorable friends and relatable adventures. From card illustrations to her own short movie as well as everything in between Vera is a character beloved by all. To date she is featured in 10 stories, a short film, and various dolls.